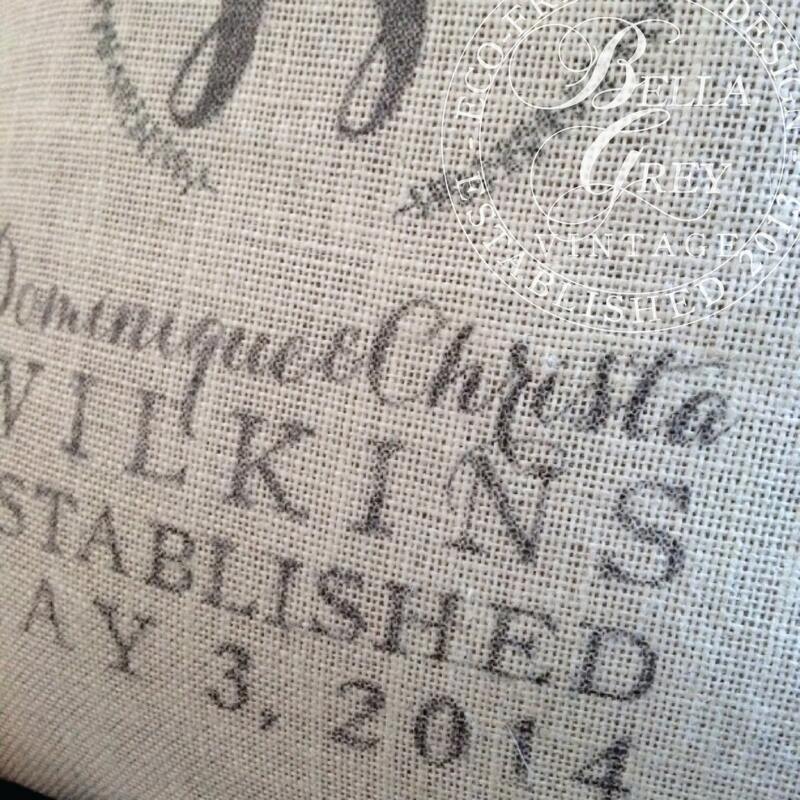 Burlap monogrammed pillow cover features the couple's names and established date on linen colored burlap. Please include the names and est. date you'd like in the "notes to seller" box at checkout. Communicative. Professional. Efficient. 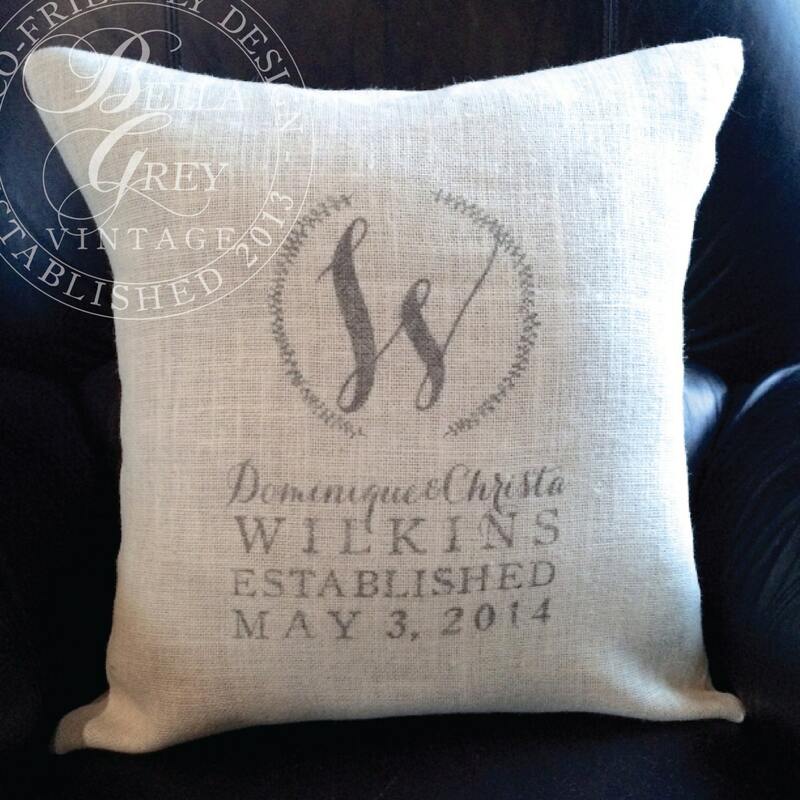 Loved the customized pillow. 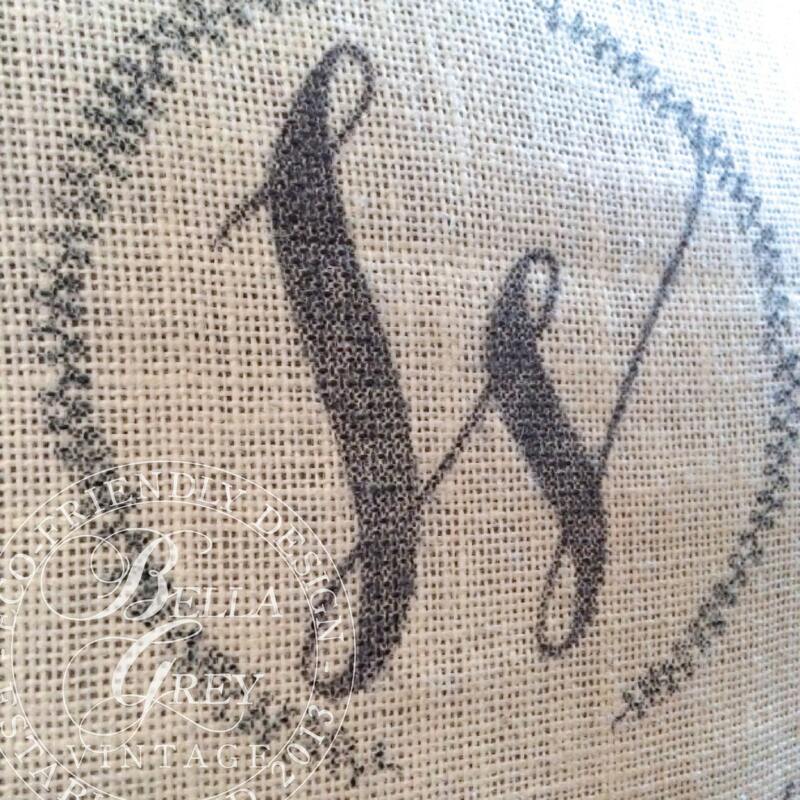 I just wish the burlap was softer. Aw, I love my pillow!! I asked for something a bit different for my business and the seller did such a beautiful job! I've gotten multiple compliments. :) I will definitely use in the future! A little off center and the font is different from the picture but I still like it. Fast turn around and shipping! It shipped fast and it was exactly what I thought it would be!